Parking is available on the street (Albert Street, 14th Avenue, Angus Street) and also in a Parking Lot on the South East corner of Albert St and 14th Avenue in the "unreserved" spots. Our church is Wheelchair accessible on both the Sanctuary level and the lower gymnasium level. Nursery Care is available every Sunday from 10:20 am. Our nursery is located in the lower hall, just off the gymnasium. Our nursery is staffed each week with loving caregivers who are only too happy to assist you in any way. Our ushers will be happy to direct you to the nursery if you are unsure of how to find it. This building is a two story structure with a main floor Sanctuary, raised Choir and organ loft and pulpit, and containing a balcony at the west end of the Sanctuary. 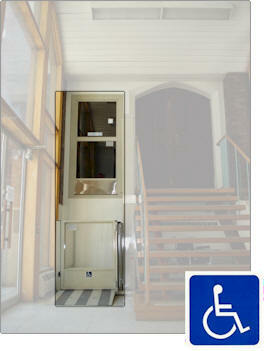 The Sanctuary is wheelchair accessible via a lift at the Albert Street entrance. The basement contains a hall, kitchen, washrooms and several small meeting and storage rooms. Today most of the basement is rented out to groups for meetings and the smaller rooms are used exclusively for storage. 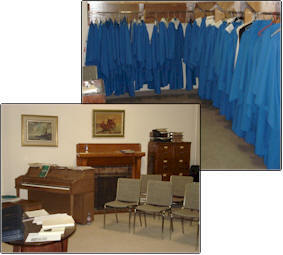 The Choir Room houses all the sheet music, choir robes, practice piano and facilities. The new Christian Education Wing, designed by architect, congregant and long time member William Kelly was completed in 1959 and boasts the gymnasium with the highest ceiling in Regina. The CE building is also two storeys and contains a number of Sunday School rooms, the main Church office, the Minister’s Study, kitchen, washrooms, nursery and sports equipment storage facilities. The Morris Room serves as a meeting facility for the Kirk Session, the Board of Managers and various other Church groups. The CE building is wheelchair accessible on the lower (gymnasium/hall/kitchen/nursery) level. Between the two buildings, hidden from the street, is a quiet courtyard called The Memory Garden. 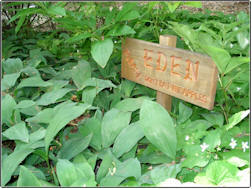 More information on this peaceful retreat is on the Memorials page. During 2015 and 2016, we were able to have new roofs installed on every roof section of our church buildings. We are pleased that we were able to make this investment in the future!